Apple Maps will remember where you parked your car, thanks to iOS 10. 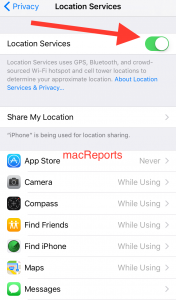 This new iOS feature ensures that you never forget where you last parked your car. 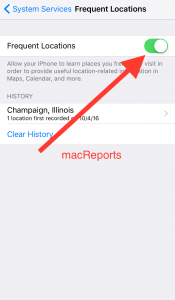 Maps will show this via CarPlay or Bluetooth. You will probably find very useful when you need to park your vehicle in a large city that you are unfamiliar with. 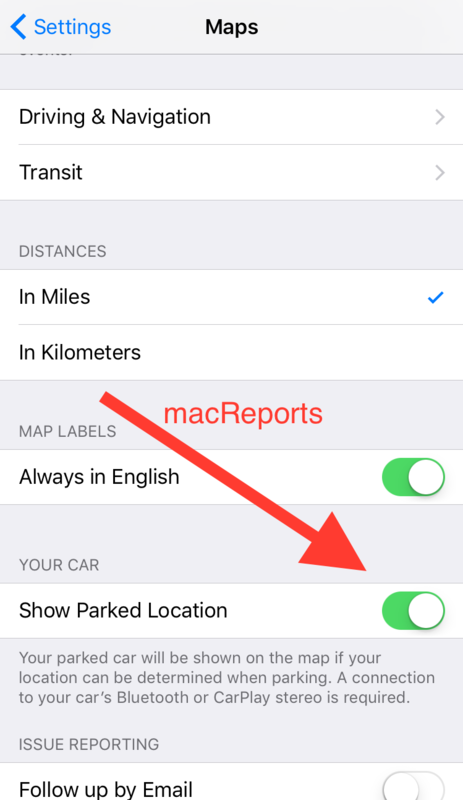 This feature is supposed to work automatically meaning a notification message will appear saying that you parked your car when you leave your car (when your iPhone can no longer detect your car). 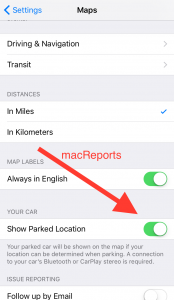 Tapping the message will take you to Maps where you’ll see a parked-car icon in the Maps app. Make sure that this feature is enabled. 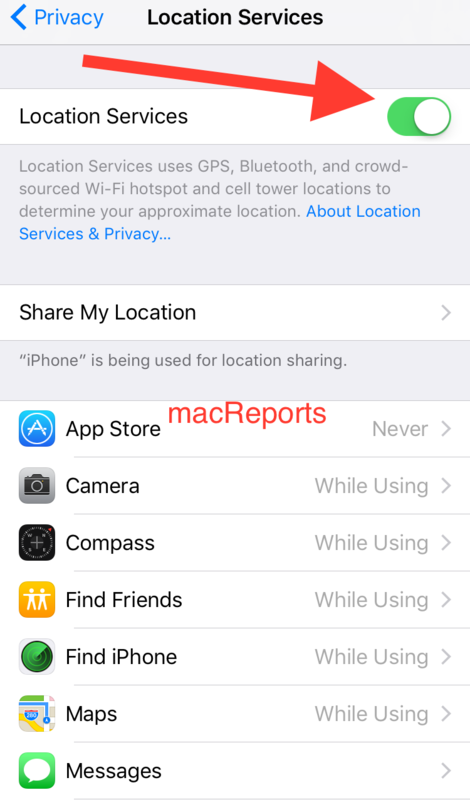 To do so, simply go to Settings > Maps > and turn on Show Parked Location. Repair your device to your car, if you need help, check this support document. I’ve done all those things and it still doesn’t work on my iPhone 7. It worked fine on my iPhone 6.